When the upcoming season has a World Cup tagged on the end of it, as the forthcoming season does with the tournament in Brazil, the old chestnut of ‘I want to be playing regular football to play in the World Cup’ crops up in all transfer talk. In terms of the Aston Villa transfer picture, Brett Holman and Shay Given have already been singing to that tune. Given, as previously reported on MOMS, even took to an apparently self-penned article in a newspaper to explain his situation, while Holman was the latest player to hint at an exit from Villa Park. ”I’m not match fit because I haven’t played any games,” Holman told press, before Australia took on Japan in a World Cup qualifier. Holman went on to say, he’ll think about his Villa future after international duty. That decision, has probably more-than-likely already been made him by Paul Lambert, with Fabian Delph potentially the only Villa player not signed by Lambert, to be safe from being axed from Villa Park. It was long ago since Villa used to provide half the England team and a third of the Irish team, since Lambert’s youthful rebuilding of the team, the domestic international quota has dropped, but the squad is still littered with international players of all countries. We look at how the Aston Villa transfer picture may be effected by the upcoming Rio World Cup. 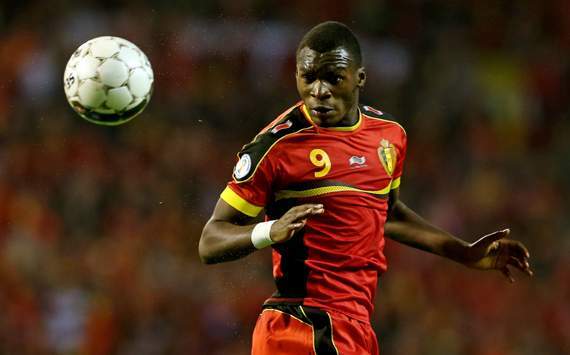 Keep a couple of clean sheets for the USA…until Benteke buried two past him. Further proof that playing for Aston Villa is good for your international career. 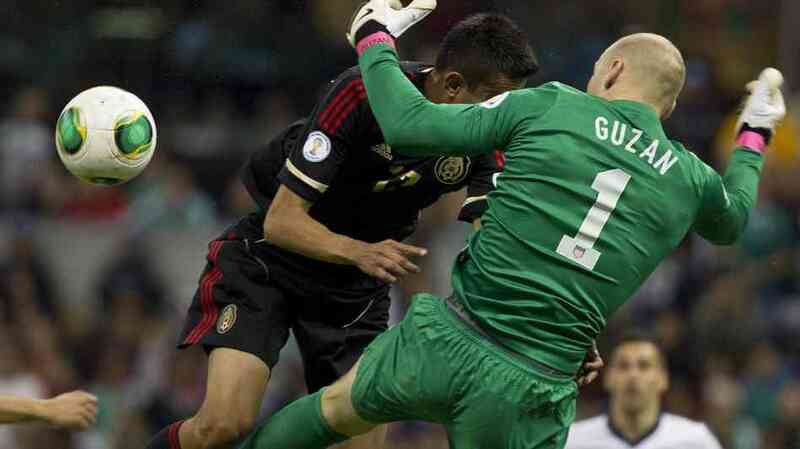 Guzan stepped up to the plate in USA’s qualifiers against Costa Rica and Mexico, keeping two clean sheets in Howard’s absence, and is now a serious contender with the Everton keeper for the No.1 jersey in Rio, should the USA qualify. Verdict – Could be one of Villa’s mainstay internationals. Expect Guzan to work his socks off in the forthcoming season, as he goes head-to-head with Howard in a season-long battle. Holman isn’t happy and he made public the fact that Lambert hasn’t had much communication with him this year. Holman said he was going to decide his future after the international commitments this week. Verdict – See ya mate. Holman will leave Villa to keep World Cup dream alive. Holman’s a big fish in a small pond in terms of Australia’s national team, yet McLeish’s free signing, despite showing effort on the pitch, doesn’t seem to have the class or consistency to match. Will be interesting to see if another Premiership thinks Holman is good enough. His agent will be trying to find him a club now, but where would he end up? Would do well to get a Premiership team. Not long ago, Bent was in the England squad until a mix of injuries, a possible behind-the-scenes fall out with Lambert and the arrival to prominence of Christian Benteke has seen Bent become a bench warmer. Bent wants and needs games, but the stickler for his transfer out of Villa is his wages, which make him Villa’s highest earner (over three times that of Benteke at the moment). Verdict – Will leave Villa at a shade of what Villa brought him for. Too late for World Cup though. After being frozen out by Lambert, the only chance that Bent would have getting of to the World Cup is to acquire airline and match tickets as a spectator. He would need a transfer and to bag 20 goals next season to even have an outside chance of making the England squad. It’s essentially a straight toss-up between Benteke and Lukaku for the main striker role for Belgium’s Red Devils, if they continue with their favoured 4-3-3 formation. While he had started his international career while with Genk, Benteke only really cemented his international credentials while at Villa. With Lukaku looking like he will ply his trade at Chelsea this forthcoming season, with Mourinho perhaps viewing him as his new Drogba, the best thing Benteke can do is stay an Aston Villa player and top his tally of last season. We’ll address the Benteke situation in more detail elsewhere. In a nutshell, Benteke’s decision to stay at Villa depends more on money (wages) than the World Cup in Rio. He’ll be there with Belgium, whether he’s at Villa or not. Next season will be a pivotal season for the Aussie battler. Eric Lichaj departure may mean Herd has been earmarked as Lowton’s understudy at rightback, with the extra diversity of being able to cover midfield too. Is Herd more than a squad player? It’s doubtful. Verdict – Potentially in Lambert’s squad plans next season. Herd though would need some games under his belt to force his case in the Australian team. If Herd is still in Lambert’s squad plans for next season, it wouldn’t be surprising to see Herd take-up a loan period. Vlaar should make the squad, but will need an improvement of form to be considered for the starting spot. Verdict – Would need to improve to make Holland’s first 11, but will be in squad. Vlaar would certainly benefit from defensive reinforcements coming in to Villa early in preseason, to ensure the defensive unit can gel. A few more wonder goals would also aid his cause. Verdict – In with a shout of Brazil. New Villa contract will help. Weimann has been growing his international pedigree nicely at Villa Park, hence the signing of his new contract. If Austria finish second in group and get a decent play-off draw, Weimann could raise his profile and value if he gets playing time in Brazil. Will be tough for Ireland to make the World Cup next year, especially with Weimann’s Austria on song at the moment. Still, only a fool would write the Irish off. Given, Dunne, Duff and Keane are on the wane, so has the hand over to a new generation come too soon? While Given appears to have stepped aside from being Ireland’s number one, after his woeful European Championship (tough group mind you), I wouldn’t be surprised to see him be in the squad for Brazil, if Ireland make it, but he’ll definitely need a move from Villa to clinch it. Given should leave on a cut price transfer fee of no more than a million. His wages are the potential problem, but he may be earnest enough to take a drop. Who’s idea was it to sign him on a five-year deal again? A loan is not out of the question. The La Liga Superstar to be honest made a perfect move going to Mallorca, at least he’s got to see some sun, as playing for Scotland he’ll never see the Rio sun next season! Verdict – Will leave Villa…finally…hopefully. Scotland have kept faith in Hutton despite his Villa exile. He certainly will have to make a compromise in wages to leave Villa, which is the only possible outcome. Being in a Scottish back four that kept a clean sheet in Croatia, will at least help Villa shift Hutton. Another Villa player who finds it easier to get games at international level. Has he run out of chances at the Villa? Verdict – Will leave Villa. Again, useful from a Villa point-of-view, that Bannan is starting for Scotland. Lambert did give him a chance, but it seems Bannan will now be frozen out. Must continue on the learning curve at Villa to cement his place in the Irish team. However, an expected incoming new centre back (more-than-likely Jores Okore ) could see Clark slip to fourth choice, after Baker moved above him last season. Clark is in a bit of a limbo position at the moment. Firstly, is centre back is best position? Could he move into midfield ala Gareth Barry? Clark would need around 20 games next season at least to make an impression on the Irish team, if they made it to Rio. An impressive preseason would certainly help him win back both favour and his own confidence. The somewhat forgotten man of the Villa midfield looks likely to see his Moroccan team miss out on the World Cup in Rio, with the Ivory Coast in prime position to qualify for the final African qualifying round in their group. Morocco languish in third place, five points behind ‘The Elephants’ with two games to go. Verdict – Will stick around at Villa, as World Cup dream as good as over. Has enough to be a rotational squad member and seems to still be in Lambert’s plans, and perhaps needed a season to get up to speed with the Premiership. His trip away to the African Nations in the winter, perhaps didn’t help him in terms of his Villa position. Did okay when he came on as a sub at Old Trafford. Lambert signed him, so will stick by him. Villa’s new signing is one of the rising stars of a Bulgarian team that has failed to impress in recent years. Unbeaten in the qualifiers so far, Bulgaria may not be strong enough to challenge the group favourites Italy, but maybe in with a shot of the play-offs. Just joined, so will be keen to impress in his most important season yet for club and country. The fact that we considered him here, means there is hope. Would need an impressive opening month or two to the new season to perhaps be considered for a friendly England squad, where he’d have to stake his claim. Certainly needs goals next season to have any chance and would have to register his season’s best for the club. Verdict – An unlikely shot of making the squad could be a carrot for best season ever. Can’t see it happening, as younger players are already being picked with Alex Oxlade-Chamberlain and Theo Walcott perhaps offer better options at the winger/striker position in the England squad. Gabby though does offer a rare combination of power and pace that may scare international defences. Okay, not an international yet, but with Lowton growing in both the defensive and forward aspects of his game, the young Villa full-back has been mentioned as a future England full back (well, at least by Villa supporters). Verdict – Stick with us kid, and we’ll get you in that England shirt. Next year’s World Cup may come too soon for Lowton to stake a claim, but there’s always the odd late runner and surprise in World Cup squads.